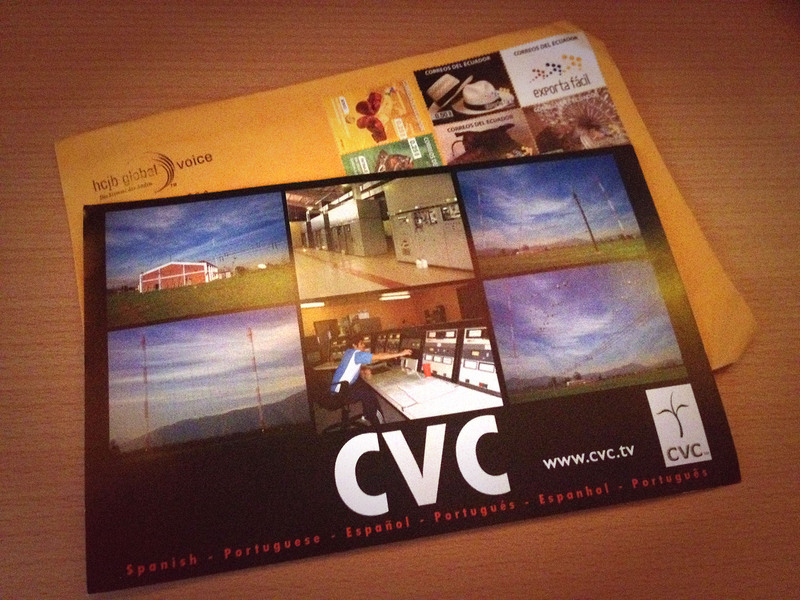 QSL: HCJB – CVC Chile. One of the last. Many thanks HCJB Quito for this last QSL confirming CVC Chile. 9835 kHz, 23.00 UT. 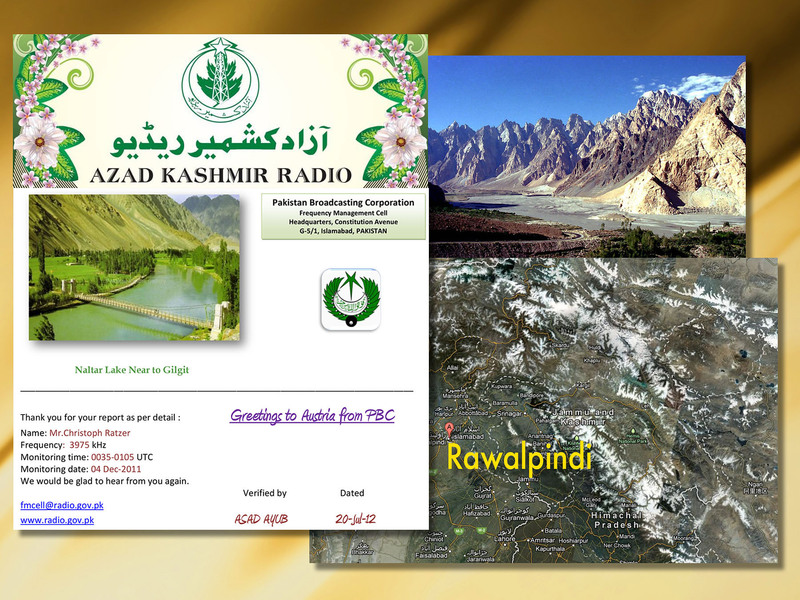 QSL: Azad Kashmir Radio, 3975 kHz. Arrived: G33DDC Excalibur PRO & CSO. 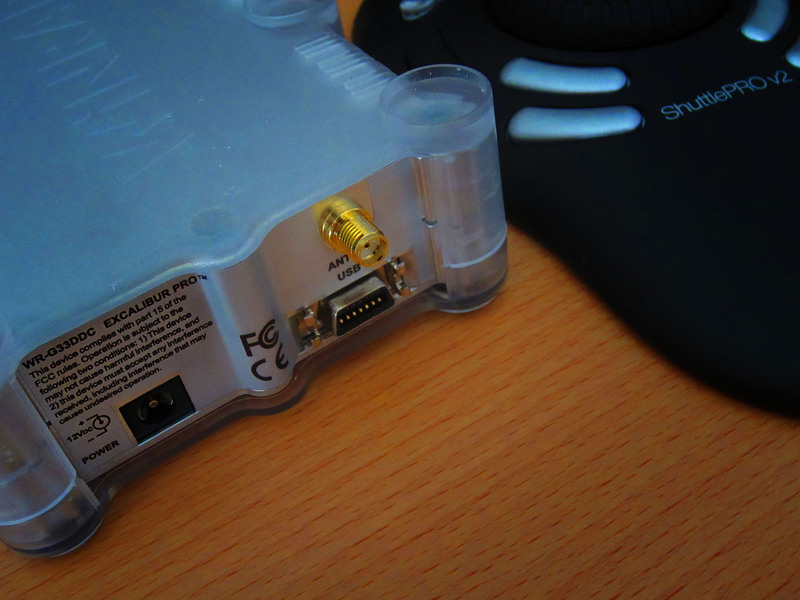 WiNRADiO G33DDC and CSO – Client/Server Option makes it possible to connect to a remote G33DDC receiver over a network link, remotely control the receiver functions, listen to or record the streamed audio and observe the various spectra in real-time. It makes it also possible to record the DDC stream on the remote server PC and replay it again as needed. Grimeton Radio Station, SAQ, 17,2 kHz. Recorded 01.07.2012, 11.55 UT, 17,2 kHz, NetSDR (Remote), PA0RDT Mini-Whip.